Free agent lineman Richie Incognito was arrested yesterday in Arizona by Scottsdale Police after reportedly threatening employees of a funeral home. Incognito’s father died over the weekend, and according to Pro Football Talk and TMZ, Incognito caused a disturbance at Messingers Funeral Home yesterday when he went in to make arrangements. He was arrested and booked for disorderly conduct on Monday, and a spokesperson for the Scottsdale city jail told Deadspin that he remains in custody awaiting a hearing. Incognito was a Pro Bowler last year, and over the course of this offseason he’s retired, un-retired, had a meltdown at a gym, and gone after the Vikings after they dismissed reports that the team was interested in signing Incognito. On 8/20/18 at 3:30pm, Scottsdale patrol officers responded to Messinger Pinnacle Peak Mortuary at 8555 E Pinnacle Peak Road, Scottsdale reference a Disorderly Conduct call. Initial reports advised that a male, later identified as 35-year-old Richard Incognito, was at the mortuary reference funeral arrangements for his father. Incognito reportedly was upset with staff and began to damage property inside the business and shout at employees. At several points during his contact with staff, Incognito threatened to retrieve guns from his vehicle and return to shoot the employees. Once on scene, officers detained him as the incident was investigated. 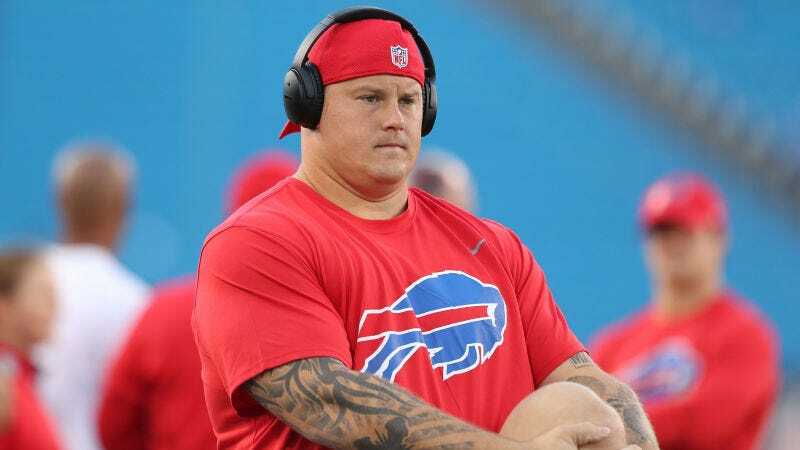 Based on the investigation, Incognito was arrested and held on misdemeanor charges of Threats and Disorderly Conduct.